It’s time for a little heart-to-heart talk, Hart Of Dixie. You’ve had a solid four-year stint on television, providing viewers with the amusing and sudsy dramatics of everyday life in Bluebell, Alabama. You entertained people with your tales of romantic entanglements and happy-ending pregnancies, not to mention keeping Rachel Bilson employed. But despite that big full heart of yours, it’s time to say goodbye. 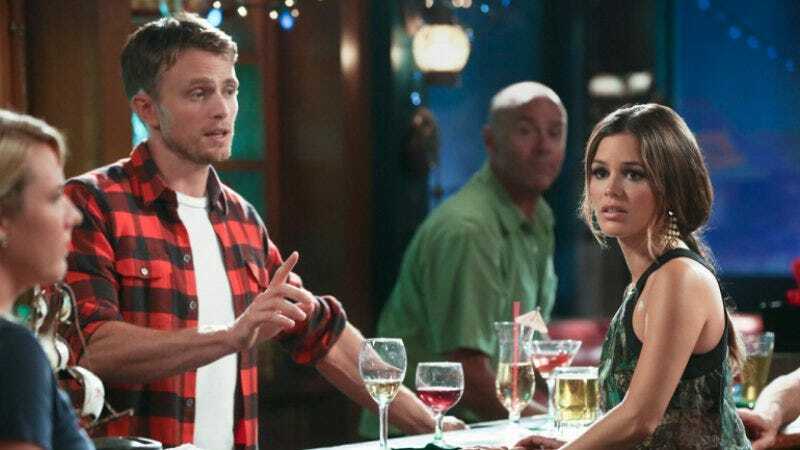 Variety reports that Hart Of Dixie has officially been canceled. This news isn’t exactly shocking, given that show creator Leila Gerstein was tweeting exhortations to watch the “final three episodes” of the series back in the beginning of March. Nonetheless, this means that people will have to turn elsewhere to get a weekly helping of wacky small-town fun. (Nobody’s looking at you, Dance Moms.) On the plus side, this finally allows us to pitch that show about a rich couple moonlighting as amateur detectives in Alabama that we’ve been working on. Hopefully, next year at this time you’ll all be watching Hart To Hart Of Dixie.